Boyce Avenue is an American pop and rock band formed in Sarasota, Florida, by brothers Alejandro Luis Manzano, Daniel Enrique Manzano, and Fabian Rafael Manzano. The brothers attended Pine View School in Osprey, Florida. The band is named after a combination of two streets the brothers lived on as children. As of August 9, 2011, they are no longer signed to Universal Republic Records and have started their own independent record label called 3 Peace Records. 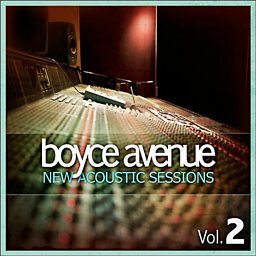 Boyce Avenue releases original music as well as covers of contemporary and classic songs on YouTube. They have also collaborated with other YouTube artists such as Hannah Trigwell, Kina Grannis, Tiffany Alvord, Megan Nicole, Alex Goot, Megan and Liz, David Choi, Tyler Ward, Savannah Outen, Cobus Potgieter, John Robby Deleon and DeStorm Power and The X Factor season two finalists Fifth Harmony, Bea Miller, Diamond White, Carly Rose Sonenclar, and also actress Sarah Hyland. Boyce Avenue frequently tours in the United States, Canada, Europe, Australia, and Southeast Asia. Can James Arthur remember his old song lyrics? "Whatever he may have done in the past when he was younger..."